A Liberian newspaper known for its investigative approach to covering politics has been shut down, its offices closed, and its staff arrested by police. 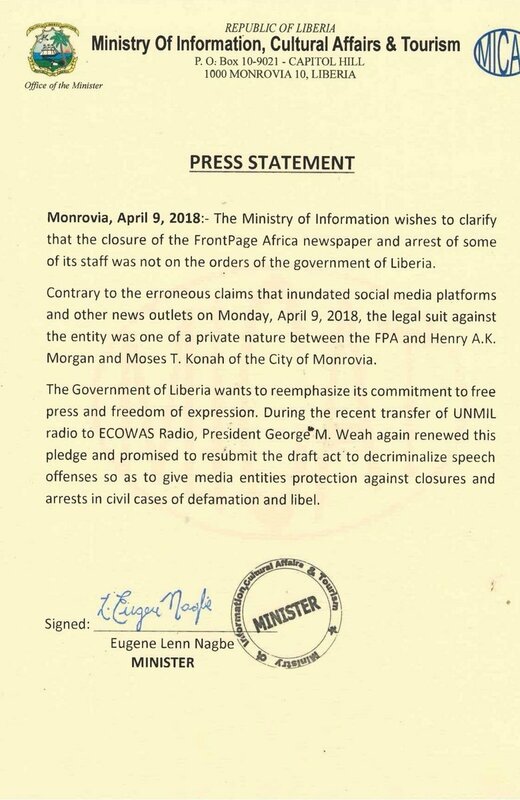 Officially the closure and arrests are due to a civil matter, but the shut down has major implications for freedom of speech in Liberia. Full disclosure: I used to work in the FrontPage Africa offices while working for the organization Journalists for Human Rights. I was there in 2011 when the editor Rodney Sieh was arrested over a story that pointed to corruption taking place at the highest levels of government. 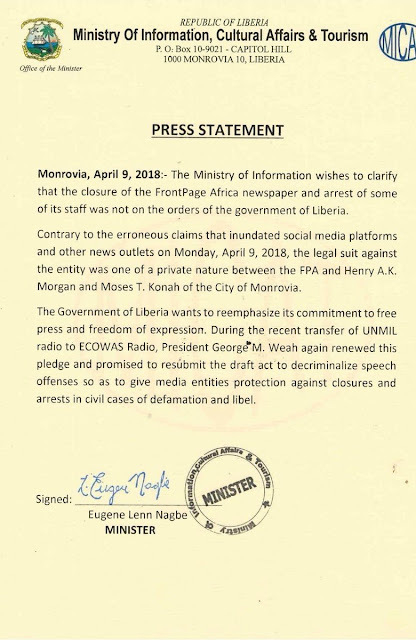 His arrest and the closure of the FrontPage Africa offices, while not officially coming from President Ellen Johnson Sirleaf, a frequent target of the paper's criticism, nevertheless had a chilling effect on Liberian journalists and their ability to investigate corruption allegations without fear of arrest. 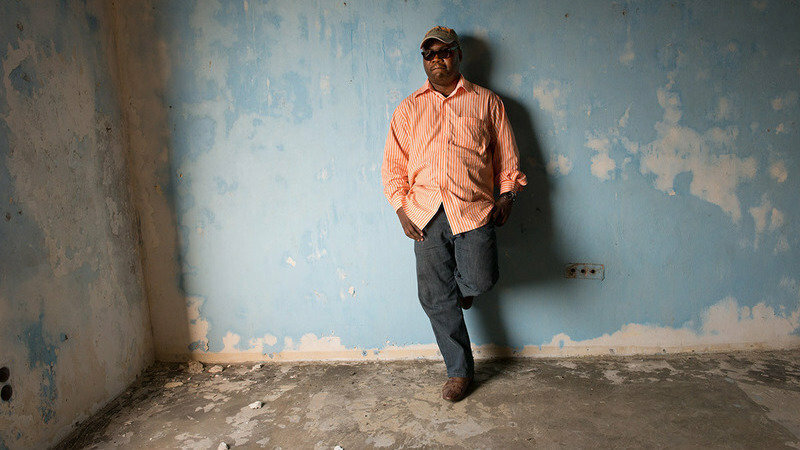 In Liberia, spurious libel cases are often effective ways to shut down reporting on corruption. Contrary to what the ministry of information, we are strongly convinced that the government is definitely behind what happened today and the Presidency is in the know. Why was it necessary to shut down our newspaper and arrest our staff? The Civil Law Court issued two separate instructions to the Sheriff against Frontpage Africa all dated 5th April 2018: Additionally, summons was issued for FPA as Defendants to appear or April 15th 2018; A separate summons was issued for FPA to appear in JUNE 2018. So, was it really necessary to arrest and shut down our premises? Finally, Information Minister Lenn Eugene Nagbe told the VOA in an interview that since the government case to office we have not published any positive stories about the new government. While we are not the mouthpiece of the government that assertion is far from the truth. Modern technology offers easy access to search the net and see that we have carried a lot of positive stories. It is not our fault when our investigation leads in the negative direction. We owe no favors and demand nothing from anyone. The government's actions today will not keep us from doing our investigative work but will only strengthen us to do more. We are aware that government operatives have been using fake social media accounts to attack our credibility and issue threats against me and my staff - with some suggesting arson. We will not back down neither would we waiver. President Weah's failure to keep his supporters from raining threats on the media falls on his record and his presidency. Should anything happen to me or any member of my staff our blood will be on his hands. The government's denial is the oldest trick in the book- hide behind civil lawsuits to strike and suppress the press. According to Mae Azango, one of the journalists detained and a star reporter known for her impactful stories, the paper's staff were released on bond and expected to show up in court tomorrow.